• 1. 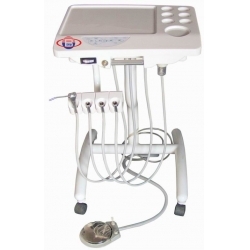 Portable dental unit is a novel, beautiful, complete functions, well-made lever type dental equipments. • 2. 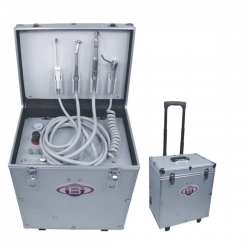 Selects the high quality aluminum alloy materials made of strong, beautiful, light portable enclosure, all configuration installed inside a sturdy box, easy to transport and carry. • 3. 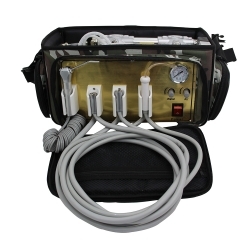 This unit reference foreign advanced technology, using the bag type design. 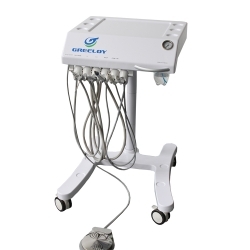 Weighs 13 kg, the product have all the functions. • 4. 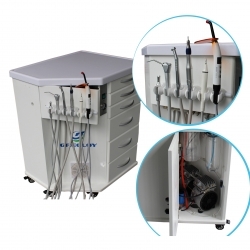 The comprehensive dental therapy unit to operate more convenient and safe, greatly improve the efficiency of the doctor. 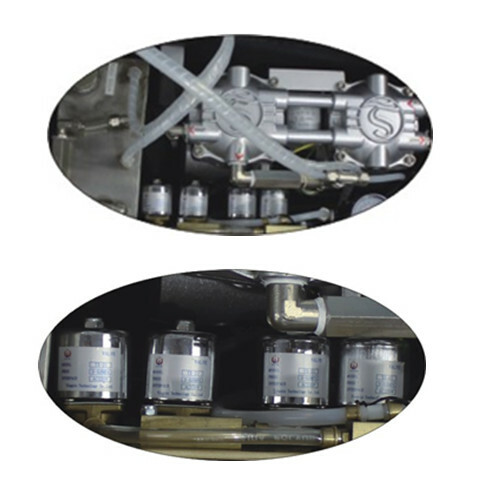 402B is an electronic control system (handpiece and suction system can work at the same time). Built-in stainless steel tank, stainless steel water bottles.